How to Build a Vibration Monitoring System on Your Own? With the ultimate goal of cost reduction of condition monitoring, this paper illustrates how simple data acquisition and processing systems could be designed and realized taking advantage of latest cheap, yet powerful electronic elements. The discussed designs are based on recently popular STM32 and Raspberry Pi boards, and analog MEMS accelerometers. The final prototype design shown in the paper is developed on the F401re version of the STM family, which is working on ARM M4 Cortex processor, and the ADXL001-70 MEMS accelerometer from Analog Devices Ltd. The entire design has been develop using a standard notebook with Windows 10 operating system. The major interest of presenting this design is that in wide range of conditions, the self-made system developed from scratch with elements, price of which does not exceed 15 USD, is capable of generating a frequency spectrum equally significant to a spectrum generated by a full-scale, costly commercial condition monitoring system. Pan, M., Sas, P., & Van Brussel, H. (1996). 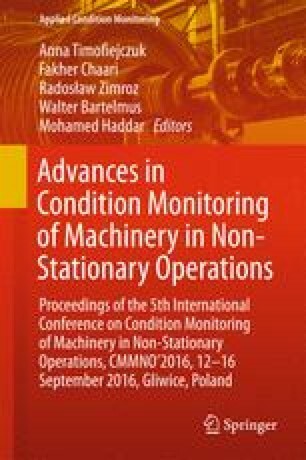 Nonstationary time-frequency analysis for machine condition monitoring. doi: 10.1109/TFSA.1996.550096. Nagel, D. J., & Zaghloul, M. E. (2001). MEMS: Micro technology, mega impact. IEEE Circuits and Devices Magazine, 17(2). doi: 10.1109/101.920875.